Hello and a very merry Christmas to you all. Hopefully you haven't overdone the festive celebrations and you are feeling fresh and ready for Day One of the Boxing Day Test here in Melbourne! Preview: The series may be over, however you try telling any of the players, supporters or Sky Sports commentators there is nothing to play for. 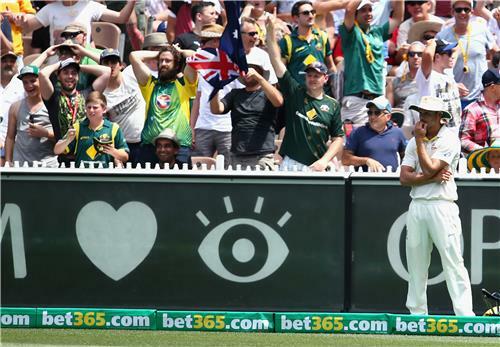 Australia are hunting a whitewash while England need to restore some pride after heavy defeats in Brisbane, Adelaide and Perth. 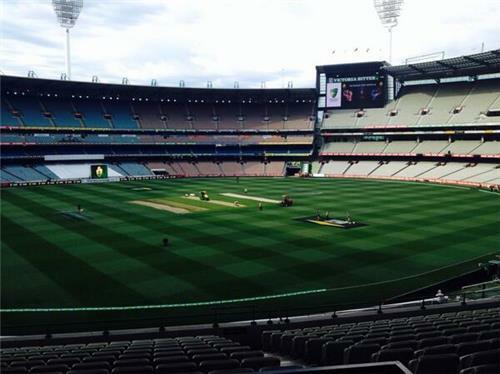 We are expecting a crowd of around 90,000 here at the MCG for what is the highlight of the Test cricket calender. Stay here throughout the day for over-by-over commentary and expert views from Bumble, Beefy, Shane, Nasser, Athers, Strauss, Lord Gower and Benedict. The Great Southern Stand boasts a capacity of 45,000. The capacity of the whole of Lord’s currently stands at 28,000. 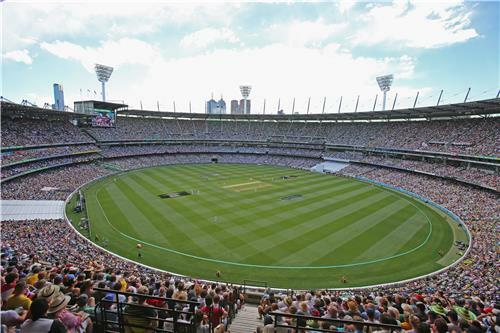 The first Test at Melbourne involving play on Boxing Day was in 1950, against England. The first Test to start on Boxing Day at the MCG was in 1968 against the West Indies. This is the 95th Test Match to start on Boxing Day, with the 96th scheduled to start in a few hours’ time (South Africa v India). The last 15 Tests at the MCG have all produced results with Australia winning 12 of them. The record attendance for cricket at the ground is 90,800 on February 11, 1961 for the second day of the fifth Test of the Australia-West Indies series. Michael Clarke is 13 runs short of becoming the sixth Australian to score 8,000 Test runs. At 32 he would be the second-youngest, after Ricky Ponting. Matt Prior has played England’s last 60 Tests since March 2009, which is the sixth-longest streak for England, and among England wicket-keepers only Alan Knott’s 65 matches in a row from 1971 to 1977 is longer. 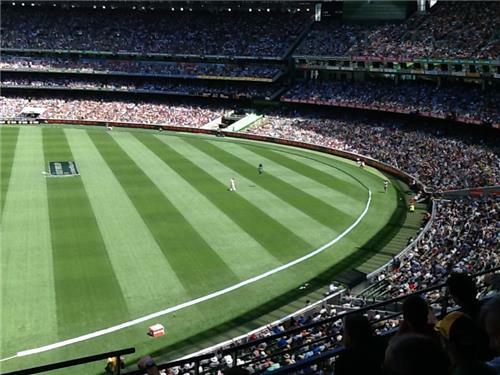 [mikeatherton] The Boxing Day Test is a fantastic experience. They are expecting a record crowd here today, it was 77,000 when I played here in 1994/95 so it’s a great opportunity to show how good a player you are. It’s a good opportunity for England’s younger players too, I think Jonny Bairstow may come in for Matt Prior and I think Monty Panesar will come in for Graeme Swann. The pitch looks to have a tinge of green and with that in mind I expect Tim Bresnan to retain his place. Wicket-maiden for Harris. There really is such a familiar pattern to England's innings during this series. Bright start, early run-rate up above three followed by suffocation and wickets, with the England players seemingly unable to break the pattern. Pietersen playing almost ludicrously, and certainly ostentatiously, defensively here. Every exaggerated forward defensive shot seemingly a message to his critics. It's better when he plays other shots, though. Bell breaks the run of dot balls, dabbing Harris to third-man for a single. Pietersen still sticking with that forward defensive. There was a slightly end-of-term feeling to Australia's bowling for much of the morning session. Bit looser than it has been as they've battered England in the first three Tests. They've put that right since lunch. England having to scrap and fight for every run here. Bell gets one to end Watson's over. Bell clips Harris away behind square-leg for two runs. After that minor error in line, Harris puts things right and is on the spot for the rest of the over. Bell solid in defence, but Australia doing a superb job of stifling England's two best batsmen. Watson pulls up lame in his run-up attempting to bowl the fifth ball of the over. He trudges off the field looking dischuffed with proceedings. Nathan Coulter-Nile on as sub fielder, with Lyon completing the over. Harris completely controlling this game at the moment. He's bowled 14 overs for 15 runs. Five actual runs from this over. Pietersen gets a single to the sounds of ironic cheers from the 86000 (well, probably not all of them) inside the MCG before Bell plays a couple of legside nurdles for two then a single. Pietersen repeats the shot for another single. Close! Huge let-off for Pietersen, who top-edges a hook shot to long-leg. Coulter-Nile catches the ball a couple of yards inside the rope, but then his momentum takes him over it and Pietersen gets six. Really did look like he should have been able to take that and stay inside the boundary. Bad misjudgement. Pietersen gets a quick single off the last ball of the over after doubling his score with that lucky six. That moment of fortune has sparked these two back into life. Much busier batting against Lyon here, with three singles taken to go with a cut shot that brings Bell two. Johnson back into the attack for just one over before tea. Pietersen works him to mid-on's right hand for a single, and Bell adds another run off a thick inside edge. Pietersen collects two more legside runs as the run-rate continues to SOAR since that hilarious six a couple of overs ago. 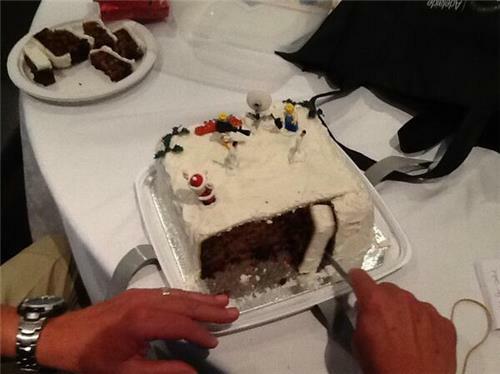 Pietersen gets a tip-and-run single as the pre-tea run splurge continues with reckless abandon. Close! Sharp spin from Lyon sends the ball between Pietersen's bat and pad, but it somehow bounces enough to clear the off bail and run away for a couple of byes. A back-foot punch brings Pietersen a single before Bell negotiates the last two balls of the session. [tea]Slow progress for a becalmed England in that session. Carberry and Root fell after becoming becalmed, and Pietersen really should've joined them when Coulter-Nile somehow contrived to stumble over the boundary after appearing to take a catch with plenty of room to spare inside the rope. England need a sizable contribution from one of these two, you feel, after the top three got starts but failed to kick on. [betting]Australia odds-on again after controlling that afternoon session. They're 8/11 with Sky Bet, while England are 7/2 and the draw is 3/1. Bell and Pietersen both 5/6 to be next man out. We're back after the tea break - seemed short to me but apparently it's always around the 20-minute mark. There's a single to KP and a ridiculous suggestion for an lbw shout against Bell to one that not only pitched outside the leg stump but also looked too high. After nearly being run out by a KP quick single to mid-wicket, Bell lamps a Lyon long hop to the boundary rope at square leg. England's run-rate for the day at 2.52. 90,581 is apparently the crowd today - 90,800 is the record for the venue. However many have come in today, and I'm a little dubious of that number considering the gaps in places, have simply been thrilled by England's aggressive approach to proceedings. Bell at least gives the scorers something to write about, pushing the ball past cover off the front foot for a couple more. Mitch and his moustache now wicketless through 14 overs. Still, he's probably saving himself for numbers seven and lower. Bell twice fails to pierce the off-side field with nicely-timed shots, both coming after KP had picked up three with a dodgy inside edge that went right where a leg slip could have been positioned. No runs given for style, though. Lots of replays of the Coulter-Nile 'catch' that happened not long before tea. Both myself and Dave Tickner believe the sub made a bit of a meal of it, panicking once he saw the rope. Still, at least he made sure it was a six by chucking the ball about five rows back into the crowd. Just a single off the latest Johnson over. Spectators getting a little restless. England (finally) reach 150 with a paddle-sweep by KP for a comfortable single out to long leg. The last 50 was the slowest of the three half-centuries so far, taking 130 deliveries. Bell ends the Lyon over with an ugly attempt at the slog-sweep. Warne wonders on commentary if captain Clarke may fling on someone like Smith or Warner for an over or two, maybe even himself (as in Clarke, not Warne stepping back onto the field). Instead, Australia's wise leader simply brings back Siddle for another go at KP. Maiden over. England continue to limp along - new ball now looming on the horizon. So should they stick or twist before then? Damned if they do, damned if they don't I suppose. It's just good old-fashioned Test crickeeeeeet. Here comes the latest round of Siddle v KP. Shane Watson now back on the field having earlier pulled up with a groin problem. Whilst he's out in the middle, would be a surprise to see him risk doing further damage to the injury by having a bowl. Another maiden from Siddle - looked like the run of dots for KP was going to be broken when he pinged the last delivery down the ground, only for mid-off to dive across and stop what would have been a certain four had the ball got past him. The 50-run stand comes up between Pietersen and Bell - it took them 127 deliveries to reach the milestone. It nearly comes to an end soon after, though, as Pietersen comes mightily close to flicking a return catch back to the diving Lyon. No doubt that he finds the spinner tricky to deal with when he comes around the wicket.